A soapstone ram carved in Kenya sells for $15. 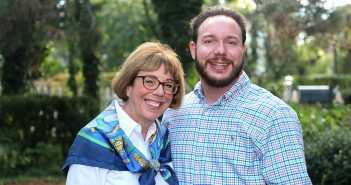 A five-year-old nonprofit based out of Fordham is bringing fair trade into the classroom and to developing nations. Dubbed Spes Nova, the nonprofit is the work of students studying international relations, economics, and marketing, to name but a few. 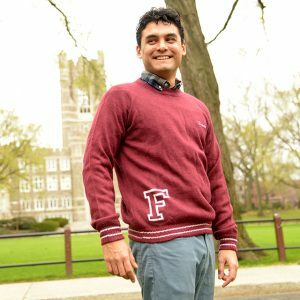 A sweater made by domestic abuse survivors in Bolivia is modeled by economics doctoral candidate Walter Bazan. Rose Hill students may be familiar with the company as it sells its products—such as jewelry, knick-knacks, and sweaters—from a cart outside of the McGinley Center on Wednesdays and Thursdays. But this month the company, which initially grew out of the Fair Trade Club, will take its products online at SpesNova.org. The products are purchased from around the world by issuing microcredit loans to artisans who might not otherwise qualify for normal bank loans. But while some microfinance organizations charge as much as 30 to 40 percent interest on loans, Spes Nova charges just 2 to 3 percent. 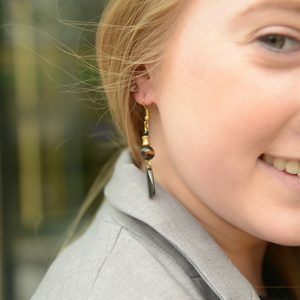 Earring made in Nairobi is modeled by IPED student and Fair Trade Club President Dana Nelson. Rengifo said that a scandal involving Mexican drug cartels funneling money through microloan institutions led to a crash of the industry in 2013. New laws dictated that banks identify the people who were receiving the money—not just those sending the money. Spes Nova connects artisans they know with lenders they trust. Often, they also know the circumstances that many of the borrowers are in—such as women in Bolivia who have escaped abusive relationships and are now making sweaters bearing the Fordham name. 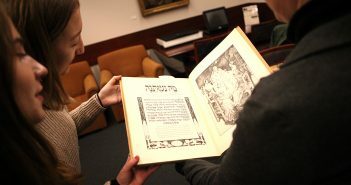 The growing business has also been incorporated into a marketing research class at the Gabelli School. “Every single business school in the United States has a marketing research class, but this one uses real-world experience,” said Rengifo, who foresees the creation of a fair trade entrepreneur class as well as a product evaluation class. He said that the marketing class wraps up by examining Spes Nova’s impact on the communities. The examination will determine if the business is helping produce more labor, improve nutrition, and improve the schools in the communities. Jewelry made in Nairobi and sold on the Fordham campus.